Families who are unable to participate in programs at A-Mazing Adventures can apply to one of the local financial assistance programs (focused on financial assistance in physical activity programs). 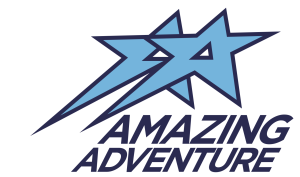 A-Mazing Adventures regularly receives funding for families from both Kidsport and Jumpstart, ensuring everyone has an opportunity to participate in our programs. Information on these programs can be found below, as well as links to each website where application forms can be found. Families are responsible for completing the forms and submitting them to each funding program for approval, A-Mazing Adventures does not complete or send in forms on behalf of families. When registering, families should notify front desk staff of their application so that their account can be processed accordingly. Jumpstart Charities gives kids a sporting chance. Participating in sport helps kids develop physical and social skills. It helps build self-esteem. By helping kids get into the game, we’re equipping them with determination. And we’re giving them confidence that will extend beyond practices and games. No kid should be left on the sidelines but in Canada 1 in 3 families cannot afford to enroll their kids in organized sports. That’s almost 750,000 kids every year who want to play, but just can’t. Jumpstart aims to change that. Kids aged 4 to 18 from families in financial need can receive funding to help with registration fees, equipment and/or transportation. Visit here for more information. KidSportTM is a Children’s Charity dedicated to assisting children of families facing financial obstacles to participate in community sport programs. The KidSportTM goal is to provide these children with the opportunity to learn the fundamentals of teamwork, dedication and responsibility through participation in sport.